Following the huge success of his ‘One Night Stand’ U.K Tour earlier this month, Urban Highlife artiste Adekunle Gold presents the video of ‘Call on Me’. 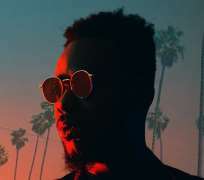 The video which was shot in West Hollywood, Downtown Los Angeles by Moyo Oyelola and Peter Longno as Director of Photography sees Adekunle Gold walking the beautiful streets of LA searching for a mysterious woman, intertwined with beautiful scenes of various mazes and puzzles. The video is a masterpiece and sure drives the point of the song further. Adekunle Gold is gearing up for the release of his second studio Album ‘About 30’ which will be released 2018.